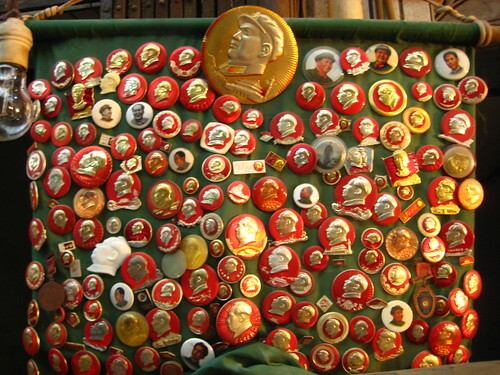 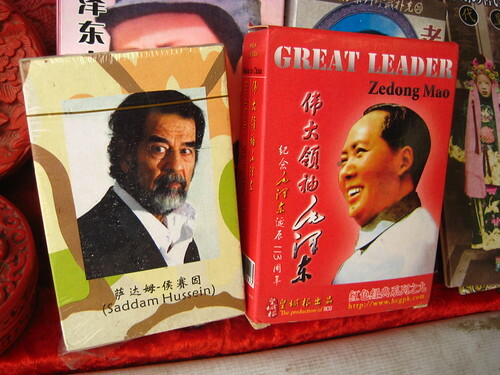 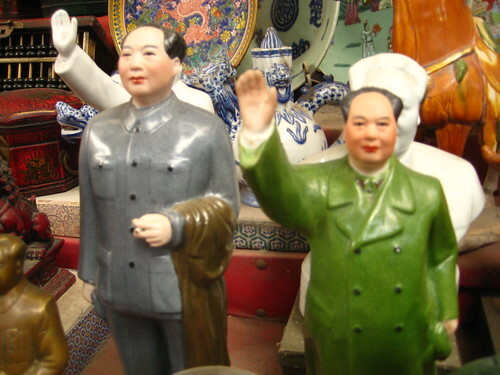 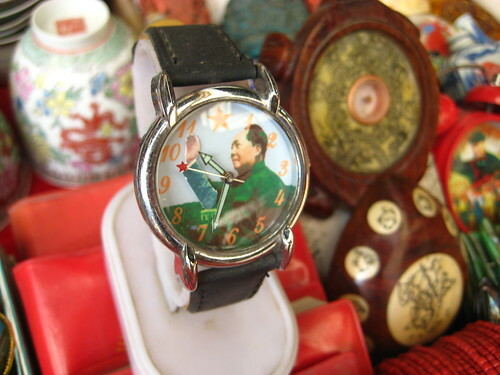 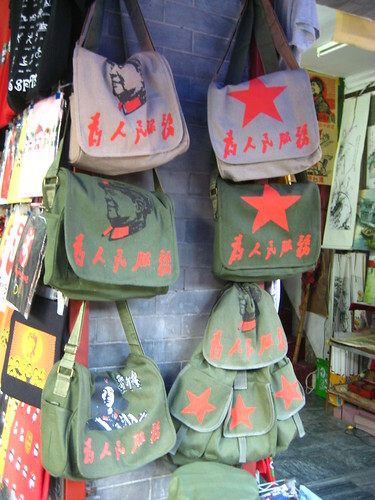 They sure love Chairman Mao in China. 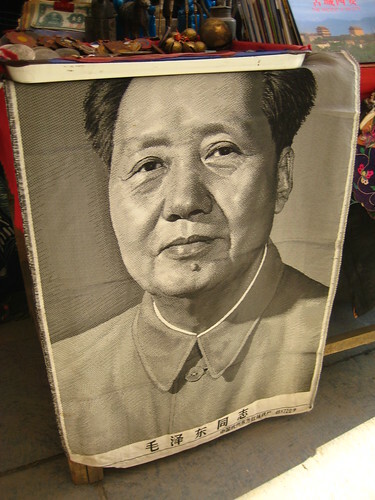 Not only is there a statue of him in every city, his face on every single one of their RMB bills (except for the worthless ones; those are reserved for the ethnic minorities)… but he also makes an appearance on t-shirts, watches, buttons, playing cards, figurines, handbags, hats, headbands, whistles, underwear, and anything else cheap and plastic. 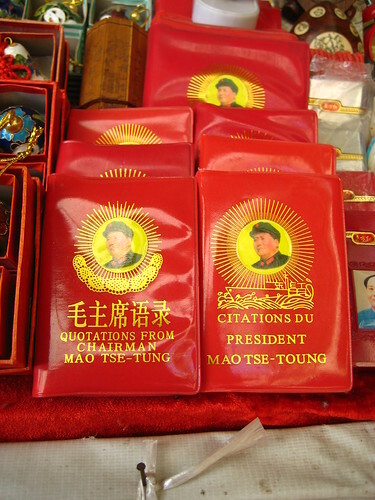 After all, what better way to remember your grand exalted leader than to plaster his face on tons of schlocky merchandise to sell to foreigners?